Dress: The Jetset Diaries via ASOS (currently sold out, similar-ish here). Bag: c/o Radley. Shoes: Kurt Geiger. Earrings: Dior. I've recently come to the conclusion that my mother and I are actually a pair of 70 year old, National Trust property loving pensioners. There's nothing we like more than exploring a grand Stately Home and its gardens, identifying the flowers in the borders as we go, and if there's an afternoon tea on offer - we'll be on that like a seagull on a chip. I remember being embarrassed by my love of National Trust properties when I was in my teens - it's not really considered to be the 'coolest' of interests. But now, as an adult - naturally I've grown in confidence and don't care so much what others think - I'm letting my love run wild and my mother and I are working our way through a list of properties to visit. 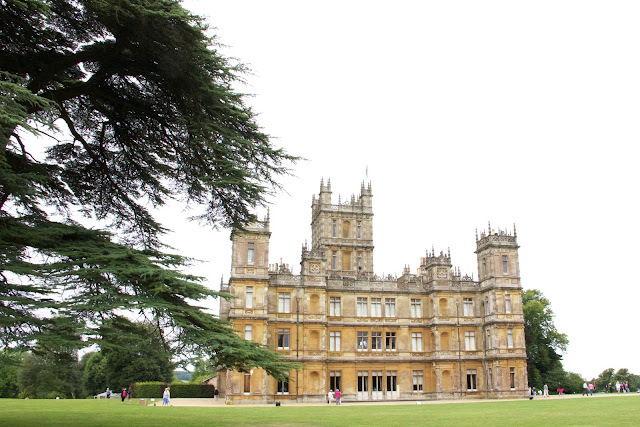 If you're a fan, or even vaguely familiar with the TV programme Downton Abbey, you'll probably recognise this location (it's not actually a National Trust property - it's privately owned). It is in fact, Highclere Castle, the country seat of the Earl of Carnarvon, and a Jacobethan style Grade 1 listed Stately Home surrounded by 5,000 acres of land. 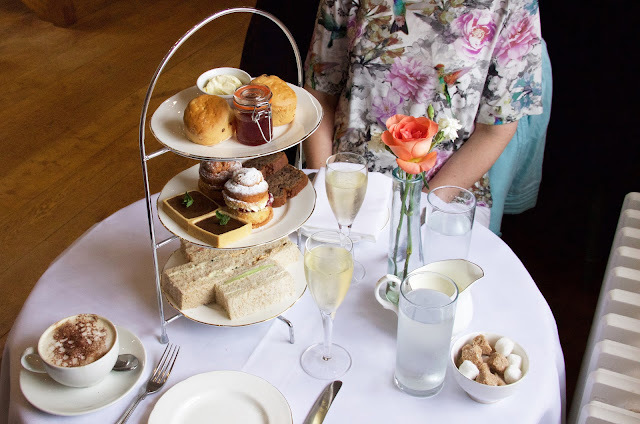 It's beautifully gothic and unlike any other building I've ever seen, and as mega fans of Downton Abbey, my mother and I had this outing (complete with afternoon tea) booked since February. We were that keen. My expectations were exceeded in the beauty of the property, both inside and out. However I was a little disappointed that photography is not permitted inside the building itself - although I understand why, it is someone's actual home of course - in some of the bedrooms you could even see half-drunk glasses of water sitting on the bedside tables! 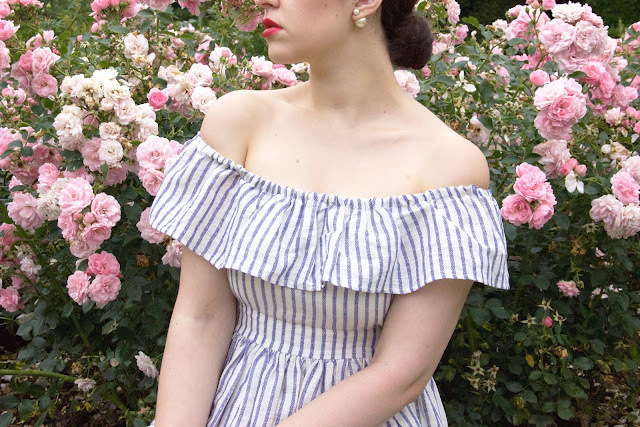 In regards to my outfit, it was a warm but dull day, so I opted for this rather nautical number by The Jetset Diaries. I love how flouncy the ruffle is, but also the fact that it's made out of a very casual, thin material which makes it feel more daytime appropriate. It also has a very unique little cut-out in the back which I forgot to photograph in my excitement. I paired the blue striped dress with my Hepburn bag from Radley, which is inspired by the lady herself; Audrey Hepburn. The bag was created to emulate her iconic elegance - polished, simplistic and stylish. 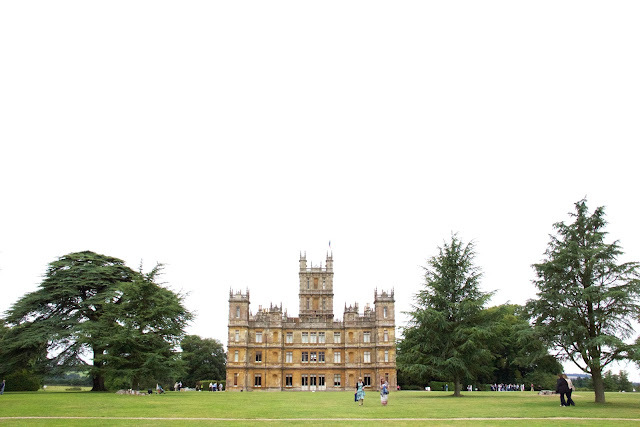 Do you like a good stately home? I'd love to hear any recommendations! Absolutely stunning Arabella. That dress is delightful! I love a bit of national trust action- but I'll be honest I'm more interested in the gardens and exterior than interior. I am too a huge fan of visiting Stately Homes. Being an English Lit Grad, I love visitng houses associated with novels. My favourite has to be Chatsworth House, or Pemberley from Pride and Prejudice. You look absoultey stunning, I adore the Hepburn bag! Beautiful dress, looks gorgeous on you. This is such a pretty dress and I'd love to visit places like that and I feel I would have related to you liking this stuff as a teen. We could have been old people in young people's body together. My oh my how I love to wander around there one day! I'm currently studying how to deal with the whole shebang of heritage -including National Trust Buildings (although the book that comes with it is as exciting as... well... not. But it gives you a good inside in what goes on and needs to be done to preserve these pearls for the public eye. Which, ya know, is pretty cool).